It is summer. You probably did not need me telling you that. The overbearing humidity probably told you. But the good news about summer is that you can get fresh peaches. And you can drink a little more liberally on your back porch without feeling as guilty about it. And you can eat ice cream without worrying about the calories. The good news is that I have found a way to combine summer, peaches, bourbon and ice cream with this Bourbon Peach Pie. So even if the heat can be overbearing, you can at least combine four good things into one delicious bite. juice and mix until evenly coated. the middle of the top crust for ventilation while baking. additional 25-30 minutes of baking time, or until crust is golden. quickly. Let cool and serve with vanilla ice cream. Oh. And this is really the most important part when you start to think about it. 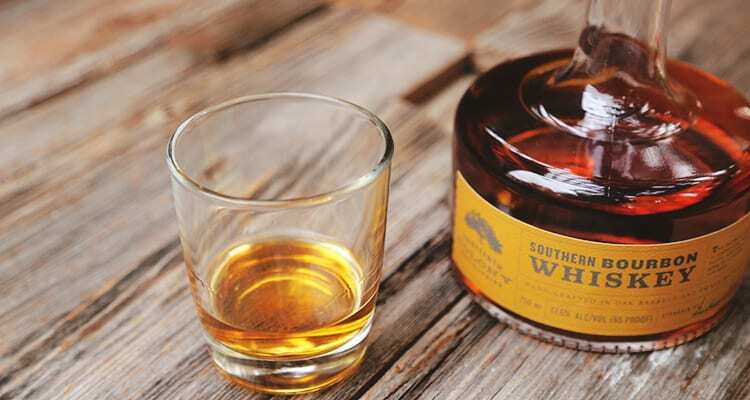 Make sure you pour yourself a glass of bourbon while you prepare the pie. And maybe another while the pie is in the oven. And maybe one more for good measure when you have eaten that last crumb and licked your spoon clean. And if you want one more after that, well . . . we think there are worse things than getting a good night’s sleep.